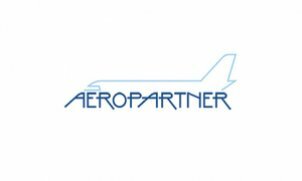 Aeropartner was founded in 2001 as a Company Limited for aircraft parts production. It has been transformed into a Joint Stock Company to provide a wider range of Aviation Services. We are an approved Air Transport and Aerial Work operator using ten aircraft including a Cessna Citation CJ2+, two VLJs Citation Mustangs and a Cessna Grand Caravan, together with one hot air balloon. Despite the variety of our aircraft and services the company philosophy related to the Air Transport is to operate a fleet of congenial aircraft, the Cessna Citation family, resulting in a maximum aviation safety with a minimum administration and personnel load, high air and ground crew proficiency and good final prices for clients. Aeropartner a.s. associates a team of professionals with extensive experience in areas of air transport, flight training, aircraft maintenance and management. Pilots Airlines Aeropartner It is very important to us that our clients are satisfied and safe on board of our aircraft and that they can always confide in our will to fulfil their requirements; that pilots who pass a flight training with us can find a good aviation job based on their personal expertise; that all those we take care of would keep coming back with pleasure and confidence.